Our client, age 20, and his friend, age 19, had been drinking in their apartment. They were college students and enjoying a beer or two. They then decided to steal a traffic light (without the pole) to put it in their apartment because they thought it would look cool, especially if they could figure out how to get it to light up. 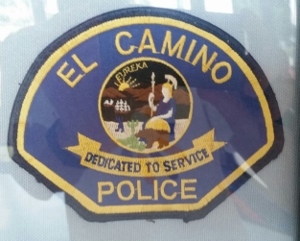 In a Nutshell: Our client, age 20, arrested near El Camino College while trying to remove traffic light fixture from traffic light pole, alcohol involved, case resolved for diversion and no conviction. The two gathered up some tools, a ladder and carried their beer bottles, half-full, with them to a North Torrance intersection. It was about 1:00 a.m. The 19-year old proceeded to climb the light pole with some tools. Our client, with his beer in hand, stood below. As luck would have it, just as the 19-year old scaled the traffic light pole and was perched about ten feet off the ground, a Torrance Police Officer drove by. He kept driving, proceeding perhaps a half-mile further. Our client thought the cop may not have observed the two. Instead, the cop returned to the scene, after the 19-year old had already removed a few screws from the light fixture in preparation for lowering it to our client. Such a fixture is about four and a half feet high, more than 18 inches wide and weighs about 80 pounds. Had our client’s friend been successful in removing the light, it would have been quite difficult to safely lower it to our client standing below. The two young men were promptly arrested and taken to the Torrance Police Station. They were ultimately released and then charged in Torrance Superior Court with attempted petty theft (Penal Code §§ 664/484(a)), tampering with a traffic control device (Vehicle Code § 21464(a)) and possession of burglary tools (Penal Code § 466). There was no charge related to the alcohol. The client and his father, as well as his mother, contacted Greg Hill & Associates. Greg then met with the client at the Torrance jail within about an hour, explaining what could happen and asking the client about the basic facts. The client was then bailed out by his father and the two met with Greg. Greg listened to the story about what had happened and told the father and son what he hoped to do to resolve the case. Greg then met with the Torrance City Prosecutor, who was quite stern about the client’s intention to render an intersection a dangerous place once the very heavy traffic light was removed. She also reminded Greg, somewhat unnecessarily, how dangerous the intersection would be without a traffic light to control entry of vehicles into the intersection. However, she also considered our client’s youth and the fact that he did an online shoplifting prevention course, which Greg recommended he do (and he did). The prosecutor also acknowledged our client’s college plans. Greg brought in the client’s college class schedule from El Camino and his grades. It merits mention that Greg did not represent the client’s friend, who was represented by the public defender. The Torrance City Prosecutor relented, offering our client the opportunity to earn a dismissal by paying a court fine of $300, plus penalties and assessments (about $1,400 total), perform ten days of court-approved community service, pay a $423 booking fee to the City of Torrance and $234.84 in restitution to the City of Torrance for the damage to the light fixture. Once our client completed these tasks, his plea to the attempted petty theft was withdrawn and the case was dismissed. The client was happy that this crazy night would not result in a conviction on his record and that the case was dismissed. His friend did not get diversion, as the prosecutor viewed our client’s conduct as more of an aider and abettor, but the friend as the principal. Our client’s friend did suffer a conviction and was placed on two years of informal probation.